Arguably Michigan's most heralded recruit in years, Mitch McGary will be bringing an amazing set of talents to Ann Arbor. When he first committed to play for Michigan over Duke, the Michigan fanbase seemed to flip upside down. The excitement level and his ratings have faded slightly, but there will still be a lot of attention when he starts playing for the Wolverines. He joins one of the best classes in the nation and seems very likely to make an immediate impact for the Wolverines. 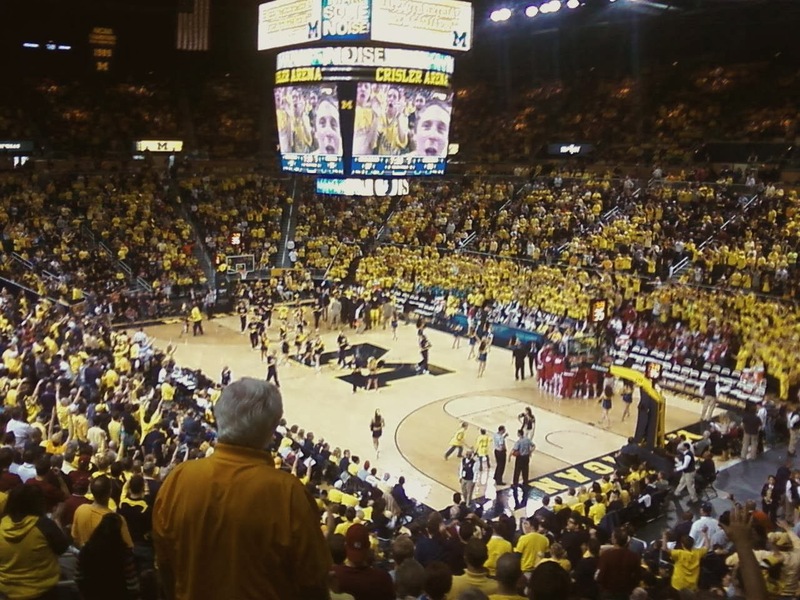 McGary offers Michigan something they haven't had in quite a while, an elite big man. Standing at 6'10 and weighing 225 lbs, McGary is a pretty big athlete. Jordan Morgan and Jon Horford really aren't that much smaller than McGary and in fact, Horford is just as tall as McGary and weighs a bit more, but McGary is more athletic than both Morgan and Horford. Imagine Morgan's rebounding ability combined with Horford's speed. Along with this, McGary's offensive skills don't seem to be completely developed at this point, but I think they're better than what Morgan and Horford can offer. I really like Jordan Morgan, but let's be honest, if he isn't doing a two-handed dunk, it's probably not going in. McGary can do much more than this and I think he can get a lot better as he develops his offensive game. He's a physical big man that really will give Michigan an advantage next season and beyond. Overall, McGary's ratings are pretty even across the board. However, there are some significant differences that should be noted. First, ESPN has him a lot lighter than all the other sites. He probably weighs a bit more than 225 lbs, but he's pretty big, regardless of the difference. The important thing is that he carrys good weight, not bad weight. This may sound pretty general, but as long as he's in good shape, I don't care whether he's 225 or 250 lbs. I'm sure he will be in fine shape when the season starts so there's no reason to worry. Another difference that should be noted is his position. I do believe he's more of a center than a power forward and will eventually play more time at the 5 than the 4, but he's going to have to play where Michigan needs him next year, which I have projected is the power forward position. Since I started talking about my projections for next year, let's just dive into McGary's role on next year's Michigan team. With the transfer of Evan Smotrycz, there is almost no doubt that McGary will play early and often. Yes, Michigan has two experienced big men returning next year, but that can be pretty misleading. Horford will be returning from a season-ending injury, so there are no guarantees on his health and recovery, and Morgan really isn't a player that can play somewhere besides the 5. This means that even though you have two solid big men, you don't have much flexibility for the starting lineup. Here's why I say this. Morgan is limited to the 5 position. Since Smotrycz is gone, there is going to be a void at the 4 for next year. Since Michigan will finally have some decent size, it's a no brainer that Michigan will want to be play two big men on the court consistently. This leaves Horford and McGary for the 4 position. Horford is a big question mark for next year, plus he is fitted better for the 5. Now, McGary is fitted better for the 5, in my opinion, as well, but he has talents that separate him from Horford and Morgan, especially at the offensive side of the court. Out of these three players, I think McGary is the best suited talent-wise to play the 4 and also seems to be the best fit roster-wise. So unless Beilein really wants to play guys out of position or put solid big men on the bench, McGary should be playing at the 4 during next year. You want to get the best two guys on the court, which are McGary and Morgan. Maybe that changes with some additions for 2013-2014 like Mark Donnal, but for next year, I think we are going to see McGary at the 4 and Morgan at the 5 with Horford on the bench. Assuming that this will be the lineup for next year, we can start looking at how McGary will fare next year and I think he will do quite well. Now, I don't think McGary will be the best player or the best freshman on Michigan's team for next season, but I think he is going to be a solid contributor. He is entering a great situation and won't have to create by himself. Michigan is returning 3 starters, 2 All-Big Ten players, and the Big Ten Freshman of the Year. Along with this, I think Glenn Robinsion III will be starting alongside McGary. GR3 is a 5* recruit and should be very good next season. This means that McGary will likely have four players around him that are playing pretty well. This signals good things for player development. As I mentioned briefly, McGary also offers something that Michigan really hasn't had anytime recently, an elite big man. Horford is relatively athletic, but he can't attack and create like McGary. McGary is also going to be able to replicate Morgan's rebound ability while also offering more offensive firepower. The one thing Morgan did do well last year was rebound, but with Michigan's small lineup, he probably should have had more rebounds, which makes me think McGary will make a big impact here. In fact, with Morgan's tendency for foul trouble, I wouldn't be surprised if McGary led this category next season. Even if he gives Michigan a great second rebounding option, that will be a major advantage. Zack Novak did a lot for Michigan's rebounding, but let's be honest, he was playing out of position and McGary is a much better fit for this position. I'm going to predict a great season for McGary and I think he has a great shot at the All-Big Ten Freshmen team and potentially an All-Big Ten team or honorable mention. Another thing worth noting is the drastic reduction in quality big men in the Big Ten for next season. In just one offseason, the Big Ten will be losing three big men that made the 1st team All-Big Ten and a few other teams like Illinois lose key big men. This doesn't mean McGary will be good or do well against their replacements, but having that big of a drop-off certainly helps. Avoiding players like Sullinger and Green will make things easier on McGary. This coupled with the great situation at Michigan right now and his raw talent really makes me think it could be a big year for McGary and Michigan.